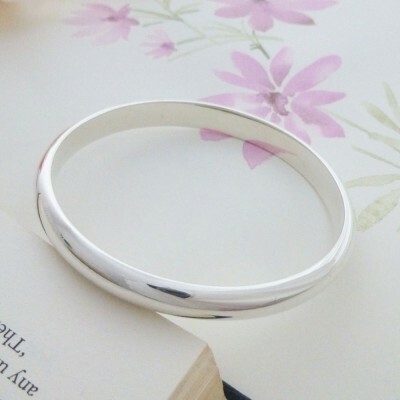 This really is a stunning bangle! If you are looking for a chunky solid silver bangle that has a lovely weighty feel to it, then you will love the Arianna Bangle. The Arianna Chunky Silver Bangle has been handmade in the West Country by one of our Guilty Bangles silversmiths. We at Guilty Bangles love the Arianna Bangle which measures 8mm wide and 4mm deep with a rounded exterior and a flat interior. 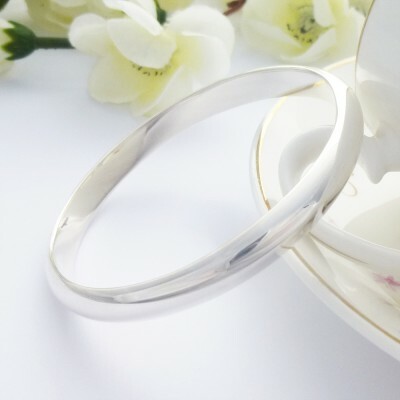 This D shaped sterling silver bangle looks amazing on! If you are looking for that special bangle that will last a lifetime and always be in fashion, then this is the bangle for you! This beautiful, chunky solid silver bangle has an internal diameter of 63mm and has been hallmarked in the UK. A wonderful gift for any bangle lover and is suitable for engraving in our personalised ladies bangles collection. The Arianna is D shaped section, 8mm wide and 4mm deep with an internal diameter of 63mm. 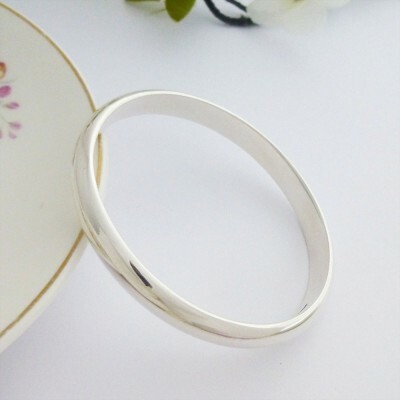 The approximate weight of this bangle is 52g. An amazing chunky solid 925 sterling silver bangle!